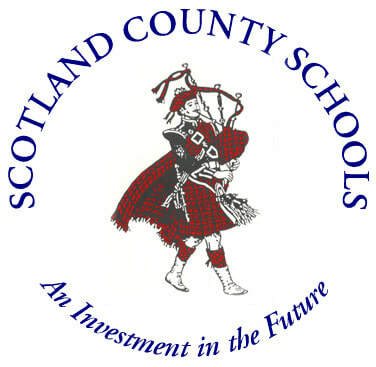 This repository has been curated for the teachers of Scotland County Schools and is designed to be a "one-stop-shop" of resources that support digital teaching and learning both in and out of the classroom. All curated content has been reviewed and purposefully aligned to the North Carolina Digital Learning Competencies. What is digital teaching and learning? The purposeful integration and utilization of digital resources, such as Web 2.0 tools, digital publication resources, and online learner analytics serve to enhance instruction and create an innovative, effective learning environment for students. Sustained learner engagement is of critical importance if teachers are to ensure that students will reach learning goal mastery. Through the use of digital resources, teachers and students can engage with instructional content in a way that serves the learner more effectively and more efficiently while increasing rigor and customizing the learning experience. Digital resources can be leveraged to support each learner, regardless of learner characteristics, knowledge levels, or student learning needs. Through a keen understanding of both the student and available resources, teachers can tailor instruction to meet all needs, thus creating a learner-centered instructional environment. why use technology as a tool for teaching? Preparing students for jobs that are yet to exist is not a novel concept; we have been doing that throughout history. What is novel is the ability to recognize the speed at which new jobs are being created through the application of new and emerging technologies. Because of this, teachers must leverage the power of online and digitally-based learning tools to ensure that our students are prepared for futures that we cannot imagine. Simply stated, digitally integrated instruction is necessary if students are expected to think and work in a creative and collaborative world that will evolve at a much more rapid pace and with resources that have yet to be developed. How do you digitally enhance instruction? Digitally integrating instruction with relevant and purposeful resources can be intimidating at first, but having guidance and knowledge on when and how to do it, makes the task must simpler. Two integration models TPACK and SAMR can provide general direction and refinement throughout the lesson planning process. For more detailed explanation on both models, click on their images below. The purpose of this site is to provide teachers a useful, easy to use repository of proven, effective digital teaching and learning resources that can be integrated within instruction. Information in this site is intended to support and enhance instruction, not replace it. All resources are provided with instructions for use, recommendation for purposeful integration, and alignment characteristics to the North Carolina Digital Learning Competencies. The overarching aim of this resource is to help teachers reach beyond the grasp of simple substitution and transform their learning environments into rich, transformative instructional entities.